FYI. I updated my previous post to include pictures for two more shoes that came in the mail. I finally received this striped tee I ordered last week. 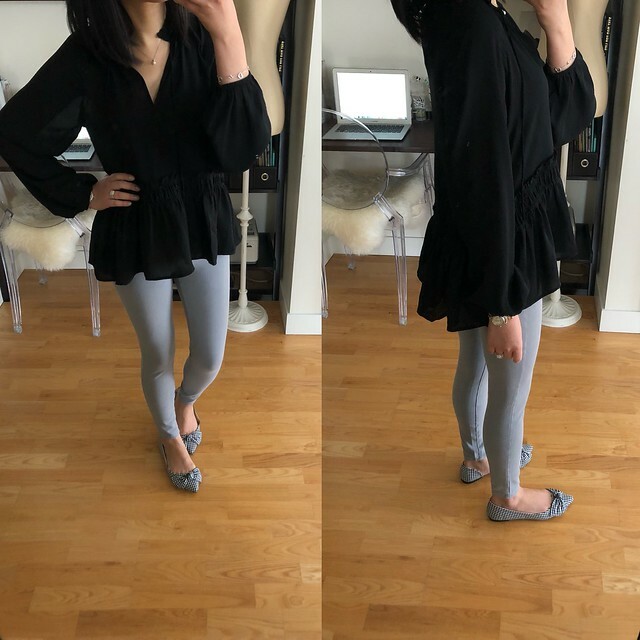 I tried on size XS regular in this post and I ended up ordering size small petite which is a relaxed but flattering fit on me. If you prefer a closer fit you may want to stick to your usual size. Note that the stripes are navy and not black and it’s also available in other colors (check out the rainbow stripes on Christy). I love that this tee is not see through and it’s currently on sale for under $10! I also received the grey jeans in size 25/0P (review of size 24/00P here) but the the crotch has a very snug fit on me as seen here. I called customer service to exchange them for size 26/2P to try and they matched the sale price I paid and waived the shipping fee. Update: I ended up keeping size 25/0P since size 26/2P wasn’t as flattering at the knees on me. I have and love this cardigan in white so I ordered it in black because I loved them with the light grey jeans. Size XS regular is a relaxed fit on me. I love this blouse on Uyen as seen here and here so I was excited to receive this blouse in the mail. It’s longer in the back than in the front. It has a very relaxed fit but it has a flattering drape. The front length may not provide as much coverage if you’re of average height or taller. For reference I’m 5′ 2.5″ and 107 pounds. I tried on the white color a while back but I had to jump on this top in the peri nova color when I spotted it on Natasha of @nashvilletash. It’s really soft and size XS regular is a very relaxed fit on me but the sleeves are a tad short. 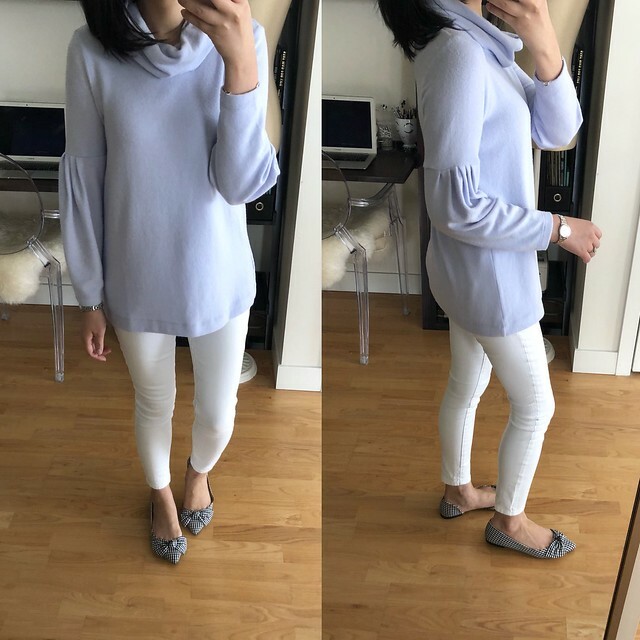 The periwinkle color will be a perfect for transitioning into spring with cute flats and white jeans. I loved this grey hoodie on Meghan @meghan_lanahan and I ordered it to try in size XS regular. 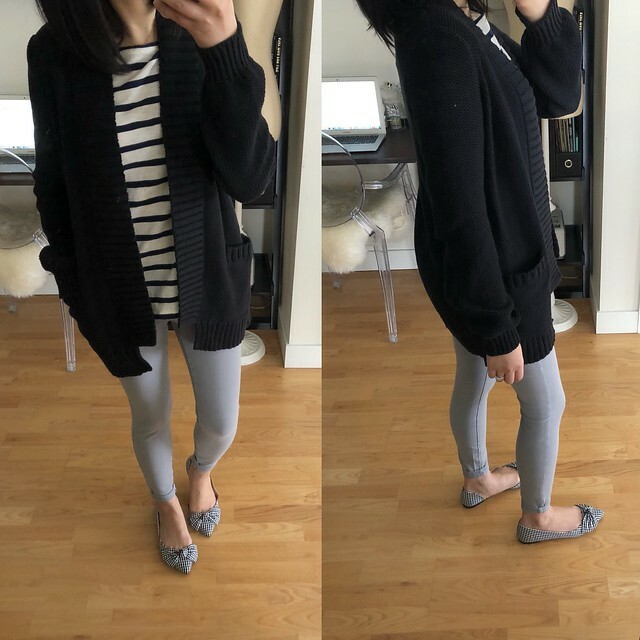 The soft material is very similar to this older shawl collar open cardigan (last seen here). Size XS regular is very loose on me so I exchanged it for my usual size XXS regular with customer service which should be a better fit on me. 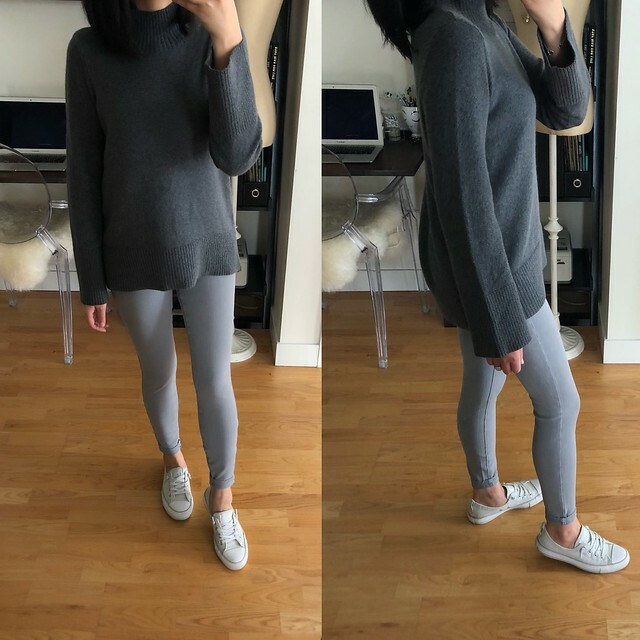 Lastly, I ordered this mock neck sweater in dark grey because I wanted to try size XXS regular on for size. I promised myself I wouldn’t order more sweaters since winter will hopefully be behind us soon (fingers crossed). 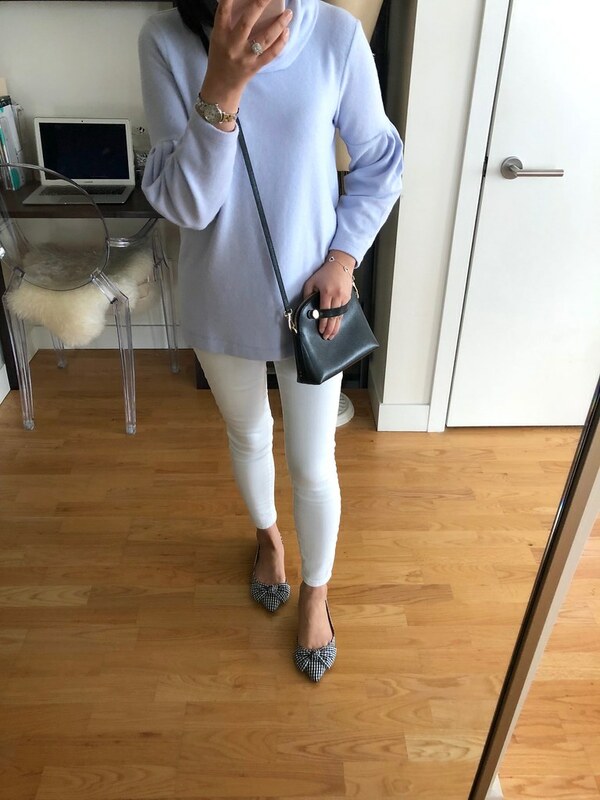 I have this sweater in size XSP in the light blue color but the sleeves are a bit short on my arms. 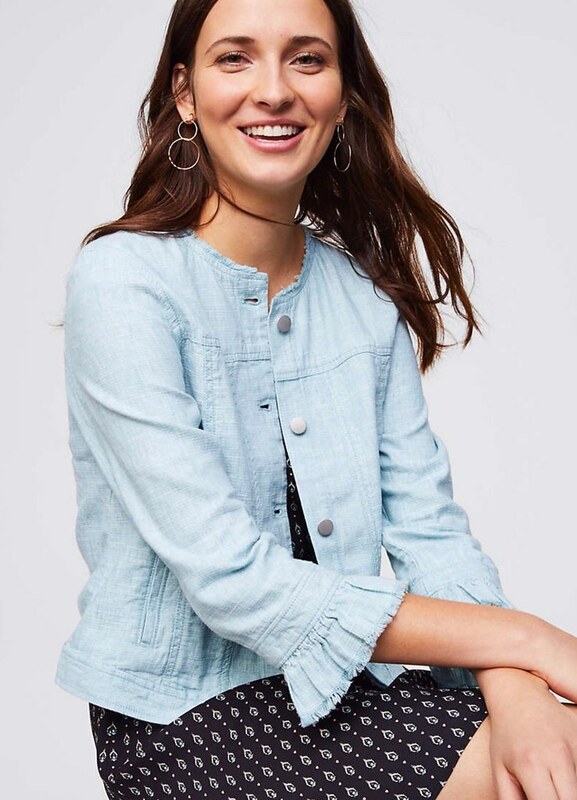 LOFT – Get 40% off full-price styles (use code WEEKEND) and get an extra 50% off sale styles. Valid in stores and online. However, there is a better code especially if you only want to place an order close to $50. I noticed that FEB419CC is still working for $50 off full-price orders of $100+ which I shared in this post. Update 2/26/18: This code is valid on full-price promotional items such as tops and sweaters which are 40% off today and ‘no code needed’ (excludes Lou & Grey). A few followers mentioned that the code stopped working for them but after further clarification the code only works when you have full-price or full-price promotional items in your shopping cart. The code will not work if you have an item from the ‘sale‘ section in your cart. You can also use this tip to get FREE shipping on orders of $50+ (old post so please ignore the sale alert in the post). 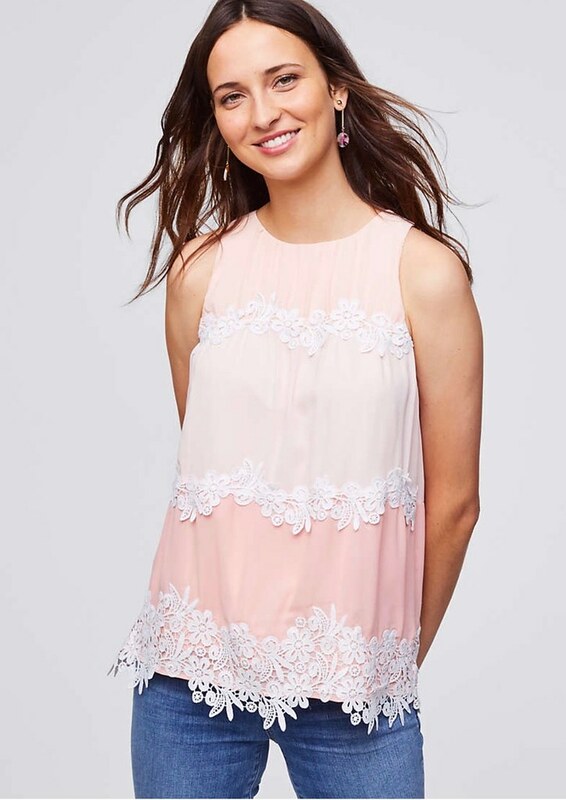 Ann Taylor – Get an extra 60% off sale styles. Valid online only. Sale ends Monday 2/26 at 3AM ET. I ordered these two tops to try since they were only $16 each. I used ShopRunner for free 2-day shipping (and returns) on minimum orders of $25+. I signed up for ShopRunner via PayPal which means I can enjoy a free membership for two years. Note: ShopRunner is a complimentary service for AmEx and Mastercard holders! Get $50 off full-price dresses and shoes. Use code NEWOUTFIT. Valid in stores and online. DSW – Use code FEB2018 through tomorrow Monday 2/26 to save more ($10 off $49, $20 off $99, $60 off $199). Brand exclusions apply. I ordered the following shoes to take advantage of this deal. These popular Brae espadrille slip-ons are back for spring! 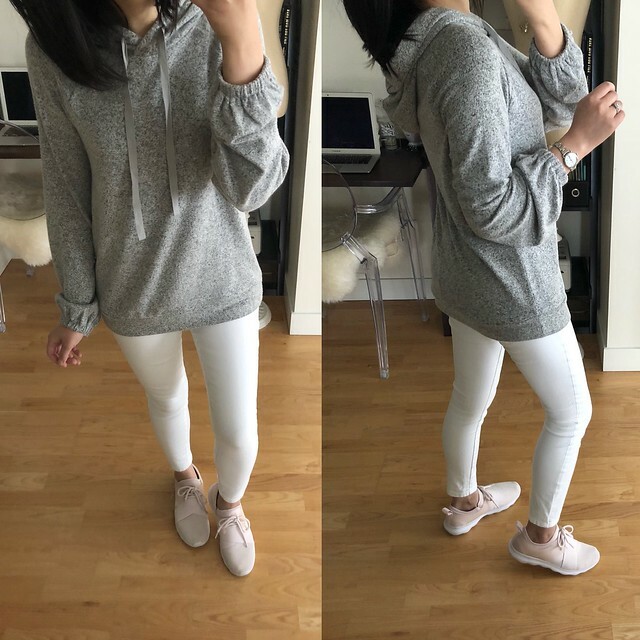 I reviewed most of them here but I’m still waiting for the Adidas cloudfoam sneakers to arrive (see them on Lilly). 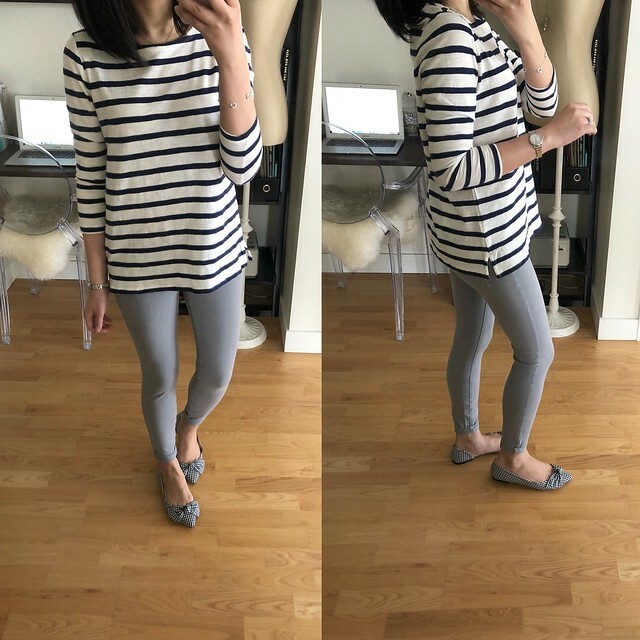 I ordered this first blush shell to try along with the love letter necklace and I added a pair of ribbed sweater tights as a filler so I could as close to $100 in order to use code FEB419CC for $50 off (which works out to be almost 50% off). I also ordered this new ruffle cuff jacket in size XXS regular and again I used code FEB419CC for $50 off orders of $100+.